Place hot rice in individual bowls. Place equal amounts of wasabi paste, nori strips, bonito flakes, umeboshi plum and scallions on top of the rice. Place water in a saucepan and bring almost to a boil. Turn off flame, place tea bags in the water and allow to steep for 1 to 2 minutes. 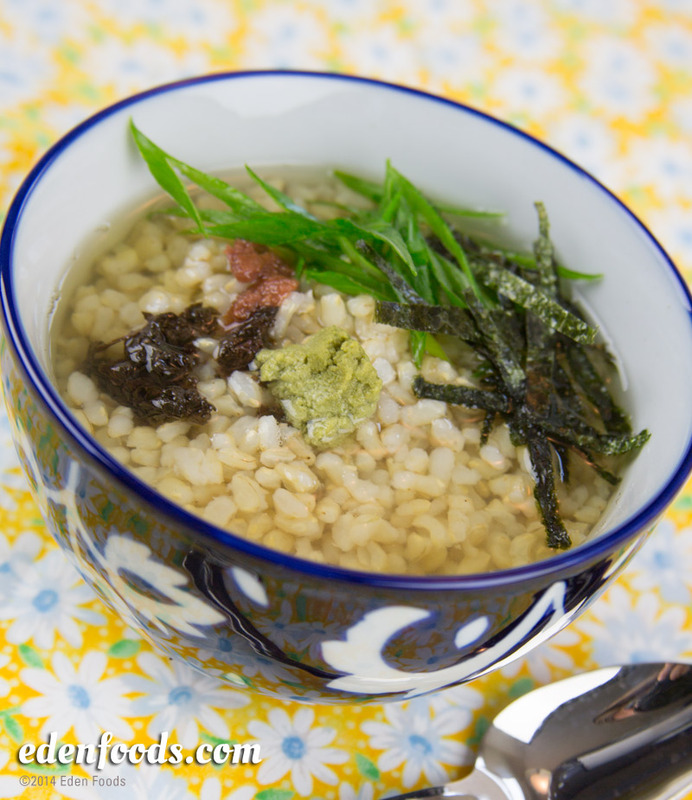 Pour 1 cup of hot Eden Sencha Green Tea over each bowl of rice. Stir and serve. Eden Genmaicha, Kukicha, or Hojicha may be used in place of Sencha Green Tea. Note: Eden Bonito Flakes make a very nice garnish for this dish.